Home > No Longer An N.C.O..
Something that all, if not most soldiers aspire too. A beginning to that officer ladder and not the least more pay. 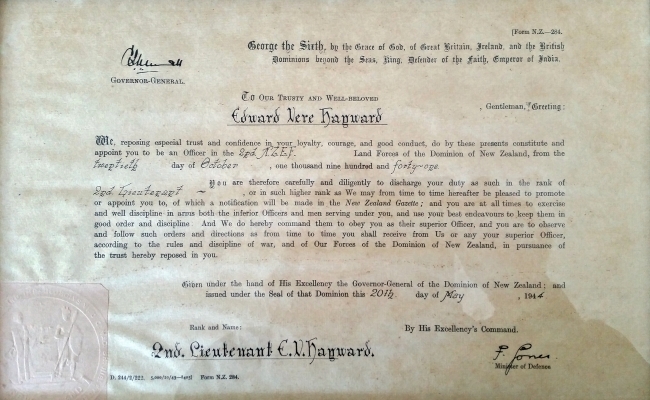 28th (Maori) Battalion's latest 2nd Lieutenant Edward Vere Hayward's original officer commision certificate, well deserved no doubt.